While speaking today at the White House Science Fair, President Obama announced that he will appear in an upcoming episode of MythBusters. 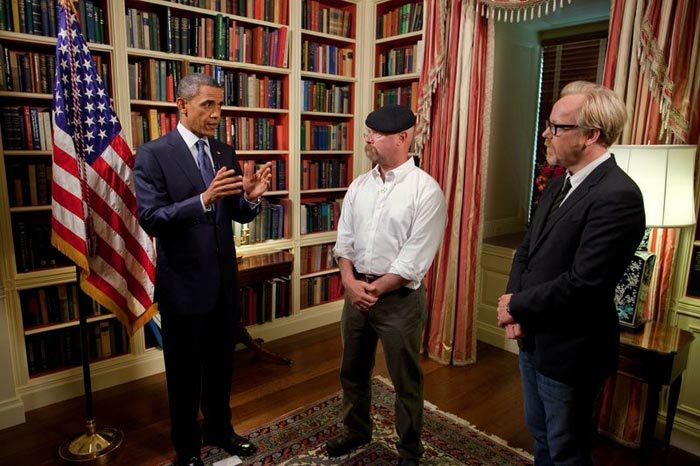 President Obama will appear alongside Jamie Hyneman and Adam Savage on December 8th, 2010 in a new episode titled President’s Challenge. He will promote the importance of science education and challenge the MythBusters team to find out whether Archimedes really helped the Greeks destroy an invading Roman fleet using mirrors.